Names of the first eleven Offshore Patrol Cutters have been made official. The news release is quoted below. The offshore patrol cutter is the Coast Guard’s highest investment priority. The offshore patrol cutter will bridge capabilities between the national security cutter, which patrols the open ocean, and the fast response cutter, which serves closer to shore. The offshore patrol cutter will replace the service’s 270-foot and 210-foot medium endurance cutters. The first offshore patrol cutter is scheduled for delivery in fiscal year 2021. For the most updated acquisition information visit: http://www.dcms.uscg.mil/Our-Organization/Assistant-Commandant-for-Acquisitions-CG-9/Programs/Surface-Programs/Offshore-Patrol-Cutter/. This entry was posted in Offshore Patrol Cutter, OPC by Chuck Hill. Bookmark the permalink. I still disagree with Pickering. Pickering was a revenue cutter for about four days. The Navy took control of it in 1798 and it never saw revenue service. To use Pickering merely continues the agreed upon history created in the 19th century but never really investigated. We are a long way from having any significant number of OPCs and they will probably be grouped at least two or three to a port in most places. I think there is a good case for putting a couple in Guam to cover the US EEZ, but I don’t think there are any plans for that yet. There are plans to put three Webber class WPBs in Guam. If they can handle the weather and do the fisheries, we may not need OPCs there. Really think we need to look at changes to the Webber class that would give them better endurance than five days. 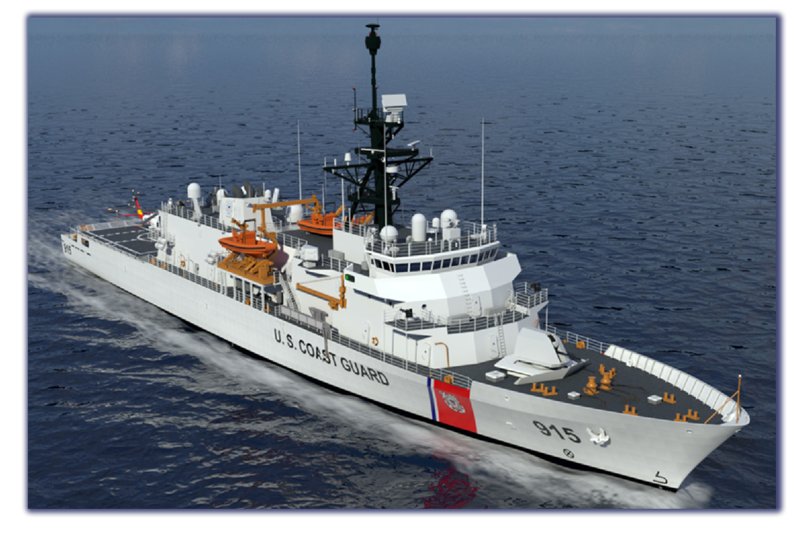 The Coast Guard exercised a fixed-price option to the service’s existing contract with Eastern Shipbuilding Group Inc. of Panama City, Florida, today to procure long lead time materials for the first offshore patrol cutter (OPC). The total value of the option is $41.68 million. This covers the initial order of components and materials necessary to support the cutter’s construction including propeller and steering components, marine diesel engines, the ship integrated control system, switchboards and generators.